This winter, Adam Byatt’s Trinity restaurant and Fish&Pips will team up to deliver ‘A Taste of Trinity’ in the French Alps. Available for three weeks during the ski season, guests can experience Michelin star catering in Fish&Pip’s brand new luxury chalet Cerf Rouge. 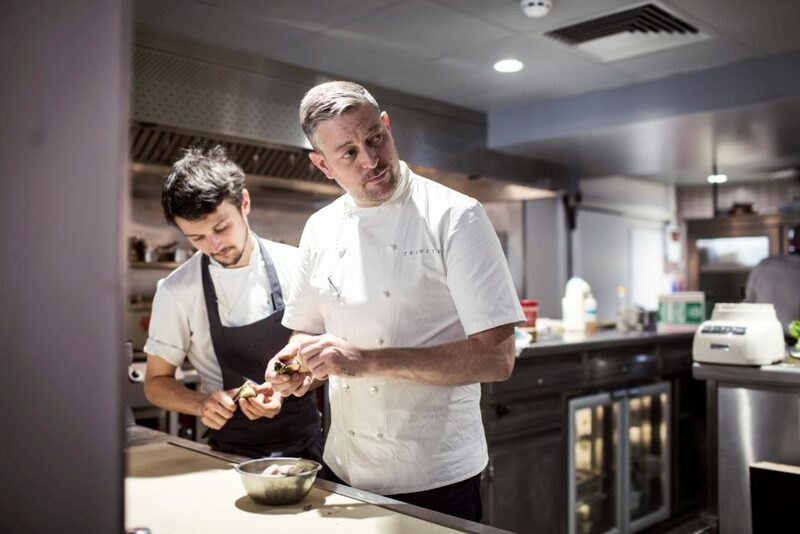 Adam Byatt is one of London’s most exciting chef-restaurateurs. 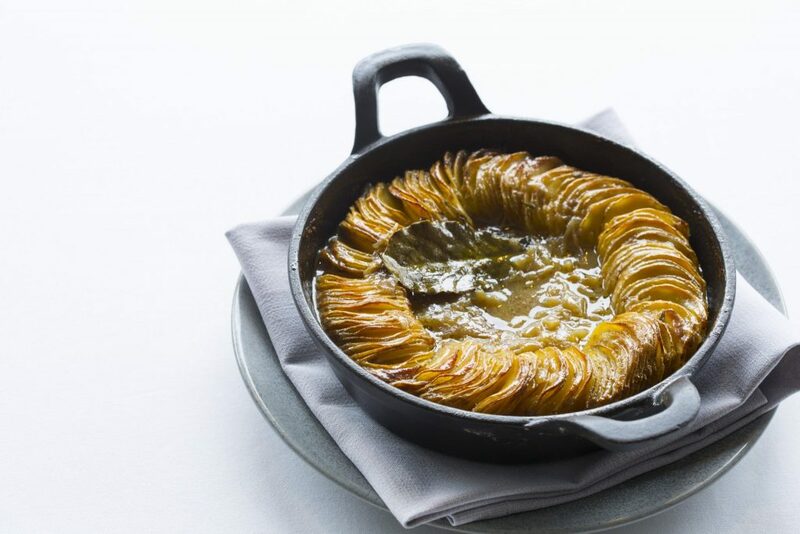 Known for his serious commitment to contemporary British cuisine, his iconic Trinity restaurant, situated in Clapham Old Town, has become a destination for food and wine lovers of all backgrounds since its opening in 2006. Trinity now holds a coveted Michelin Star, three AA rosettes and numerous other accolades for culinary innovation. ‘A Taste of Trinity’ will be hosted in Fish&Pips brand new luxury Chalet Cerf Rouge (below) and include all the trimmings of an F&P five-star chalet holiday. Adam Byatt’s long-standing sous chef, Chris Bolan will take the reins in the Fish&Pips kitchen for the duration of the week and bring Trinity’s Michelin-star excellence to the table. Daily breakfast, afternoon tea and five-course evening meals will all be taken to new heights by Bolan’s magic touch and with guest appearances from Byatt himself. The chalet menu will reflect Byatt’s signature contemporary style and feature Trinity classics such as: Vermouth Poached Salmon, Truffled Comte Gougeres and Red Wine Braised Irish beef cheeks. Guests can choose to tailor the menu and number of evening courses to their taste, creating a balance with lighter options as preferred. As with all Fish&Pips chalet holidays, the team will be on hand to ensure five-star service accompanies the exclusive menu. Trinity’s assistant manager will also join the team for the week, bringing Trinity’s supreme front-of-house experience into the mix. Adam Byatt has long been a fan of the Fish&Pips food-led chalet concept and plays a key role in training the new season chefs each year. 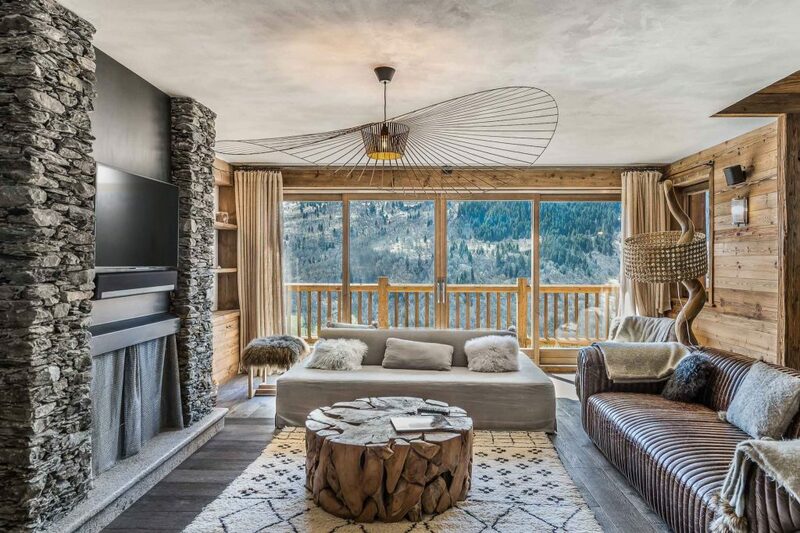 Newly built luxury F&P Chalet Cerf Rouge is conveniently located at the top of Meribel Village with far-reaching views over the Meribel Valley. Cerf Rouge sleeps up to ten people in five beautifully furnished and individually styled bedrooms featuring super-king ‘Hypnos’ beds. A fully equipped open-plan kitchen will provide prime viewing of the Trinity chef team at work and the chalet’s location, just 350m from the gateway to the vast Three Valleys ski area, ensures skiing guests will really work up an appetite. The chalet also benefits from a private outdoor hot tub and a hamman for relaxing after a fantastic day on the mountain. Fish&Pips ‘Taste of Trinity’ package costs £2750* per person and includes 7 nights luxury chalet accommodation in Cerf Rouge, 7 days Michelin star catering with Trinity menu tailored to guest taste (including full English breakfast spread with breakfast special, afternoon tea, canapés and 5-course evening meal with unlimited wine) and private minibus transfers. Guests are also given the option to pre-order from the Trinity wine list prior to departure. The package is available exclusively for the following arrival dates: Sunday 18th and 25th March and 1st April 2018. *Price based on taking full occupancy of the chalet and does not include flights.